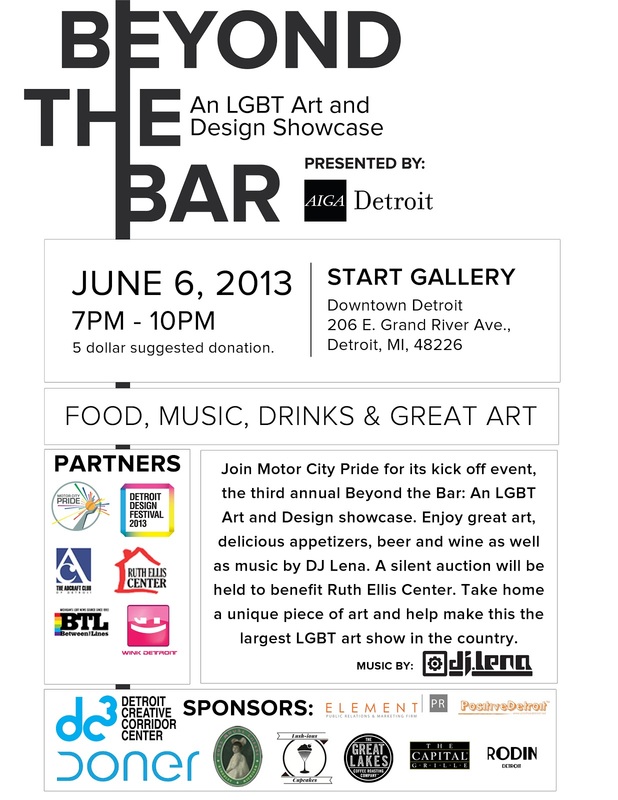 3rd Annual Beyond The Bar Art & Design Showcase Kicks Off Motor City Pride June 6th! CNN Features Local Ice Cream Store (My FAVORITE), Treat Dreams! The Southeast Michigan office of Grand Rapids-based public relations firm Lambert Edwards & Co. had been located for years in a gleaming high-rise Troy tower, surrounded by a sea of asphalt parking lots and clogged highways. So earlier this year, Lambert relocated his office and the 15 people working there to what had been an abandoned retail storefront in a city many businesses once feared to tread—Detroit. “There’s a business cheerleading section in downtown Detroit and we’re excited to get caught up in it,” he said. Dozens of companies, many of them in creative industries such as advertising, architecture and design, are flocking to central-city Detroit in a surprising reversal of the mass exodus to the suburbs that took place during the past half century. They say they are moving to Detroit to attract young workers who want to live and work in cities, and to attempt to revitalize a city that was abandoned by a previous generation of businesses. Even Whole Foods, the upscale food retailer, is opening a new store next week in the Midtown section of what has long been one of the nation’s poorest, most crime-ridden cities. “I’ve been here 16 years and this is the biggest burst of development in Detroit I’ve seen in that time frame,” said David Egner, executive director of the New Economy Initiative for Southeast Michigan. Egner’s group has raised $100 million from area foundations and is investing it in entrepreneurial ventures in the city and surrounding region. While a reviving core city is generally seen as good economic news for the Southeast Michigan region, if not the entire state, there is little data on business formation occurring in Detroit. And some say much of Detroit’s business growth is coming at the expense of the suburbs, amounting to a zero-sum game. Quicken Loans founder Dan Gilbert, who gets much of the credit for breathing new life into downtown Detroit, moved his company and its 1,700 jobs from Livonia to Detroit in 2010. Since then Quicken and its family of companies have moved more than 8,000 jobs to the city. Blue Cross Blue Shield of Michigan last year transferred 3,000 workers from Southfield to the Renaissance Center in Detroit. And advertising agency Campbell Ewald said in March it will move its headquarters from suburban Warren to a former J.L. Hudson Co. warehouse next to Ford Field in January. The move will shift 600 jobs from Warren to Detroit. “I’m glad to see Detroit is back in business. I just wish it was recruiting businesses from out of state rather than the county next door,” said Oakland County Executive L. Brooks Patterson, who has long had a contentious relationship with the city. “The suburbs are doing their part to help Detroit,” he quipped. Even the threat of the financially troubled city filing for bankruptcy isn’t stopping business owners from investing in Detroit. By one measure, Detroit’s central business district appears to be prospering at the expense of the suburbs. A report by real estate broker CBRE Inc. in Southfield said that 47,021 square feet of office space in Detroit’s central business district had been occupied in the first three months of this year. But a net 29,760 square feet of space was vacated during the same period in the suburbs, according to the report. Downtown Detroit’s office vacancy rate at the end of March was 23.3 percent, compared to 27.2 percent in the suburban market. And the asking price for office space in downtown Detroit was $18.53 per square foot in March, $2.01 a square foot higher than in the suburbs. “Tenants continue to have an urban preference as they look to appease a youthful workforce,” the CBRE report said. Still, the suburban office market, with 58.8 million square feet of space, is more than three times larger than Detroit’s 16.3 million square feet. And demographic experts say there is no reliable data available on how many businesses are located in Detroit and how many have moved there in recent years. The little employer data that is collected is held by the state and not shared with independent demographers and local officials, said Kurt Metzger, director of Data Driven Detroit. Such data could help government officials and economic developers gain a better understanding of the dynamics of the city’s business activity. “No one has put in the systems necessary to track the data that should be readily accessible,” Metzger said. The Census Bureau’s economic census tracks the number of business establishments by locality. But the bureau won’t start releasing data from the census until the end of this year. A report released in February by the Hudson-Webber Foundation offers a snapshot of what’s been happening the Detroit’s major business district in recent years. The report says there has been $6 billion worth of real estate projects built in the greater downtown area since 2006. It also forecast that “creative companies” such as Campbell Ewald will add another 1,750 jobs by 2017. Calling All Actors! Transformers 4 Is Looking For Paid Extras! BuzzFeed And Dale Earnhardt Jr. Jr. Present "Reasons Why Detroit Is Awesome"
In order to supplement the money-saving information already available to travelers through CardHub’s Currency Conversion & Best Travel Credit Card studies, CardHub sought to determine the Best & Worst Cities for Summer Travel in 2013. More specifically, CardHub analyzed flights listed on Kayak.com from the 30 largest metropolitan statistical areas (MSAs) in the United States to the 10 most popular domestic and international destinations, using July 13 as the departure date and July 21 as the return date. Which destinations are the most accessible – both logistically and financially – for U.S. travelers across the 30 largest cities. 1 Washington, DC Denver, CO Chicago, Ill.
Click HERE for the full article!!! A worker with The Empowerment Plan creates a coat that will later be donated to a homeless person. The organization works inside Ponyride, a 30,000-square-foot warehouse near downtown Detroit. The warehouse hosts other local businesses, too. Detroit is littered with empty warehouses — more than 7,000, by one estimate. They've become skeletons of the city's industrial past. 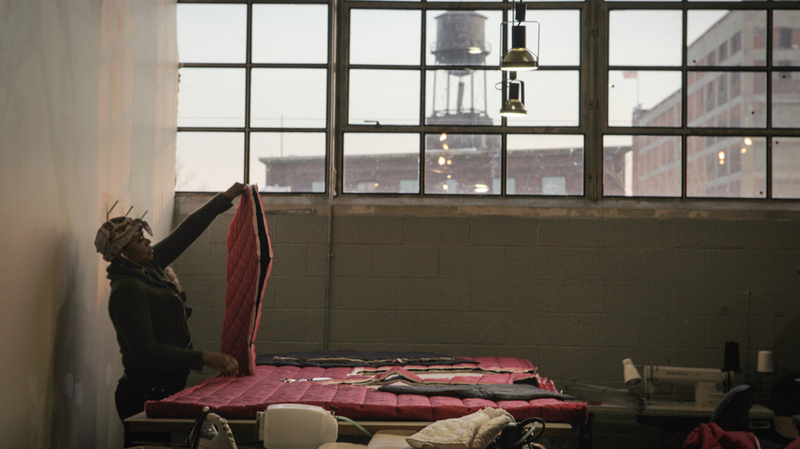 But not this warehouse, where Jennifer Blake is feeding quilted fabric through a sewing machine. She's making a coat. Fashioned with Velcro fastenings, it has a sleeping bag that slips out on the bottom, and is made of recycled car parts, she says. Blake is one of a half-dozen women doing this in a sunny corner on the second floor of a 30,000-square-foot warehouse not far from downtown Detroit. When it's done, her coat will be given to one of the city's 20,000 homeless people. Blake herself was homeless before she started working here. And it's the here part that's key. Her employer, a nonprofit called The Empowerment Plan, pays cheap rent — about 20 percent of the market value — for its space in this warehouse — space where employees are expected to cross-pollinate and exchange ideas. "We learn things from each other," Blake says. "In the end, [at] certain times we can indulge in different projects that's going on within the building. So it's fun." It's also the larger plan — to be an incubator for small, creative, Detroit-based businesses. Right now, there are 20 groups working in this building, with 40 more waiting for space. This is the brainchild of entrepreneur Phillip Cooley, a 35-year-old restaurant owner. He's renovated this warehouse with help from his family. His girlfriend is the executive director. And he gave the enterprise the somewhat fanciful name Ponyride. "When you're a kid, everybody likes a pony ride. And when you're younger, you have less hang-ups. There's less mechanism or triggers that make you say no, or puts these blocks up, and we really believe in creativity and innovation through creativity," he says. "So we want people to be as open as possible, and open to fail, open to experiment and try again." Cooley is well-known around the city for his restaurant, Slows Bar-B-Q — a bright spot a few blocks from the ruins of the city's train depot. It's part of the redevelopment of what was once Detroit's Irish enclave, Corktown. But the Ponyride project is his baby. He bought the warehouse — a foreclosure — for $100,000. "Our whole landscape here is filled with them [warehouses], many of them unoccupied," Cooley says. "So we need to figure out how to unlock them for creative, productive use again." That means a hip-hop dance studio in one corner and a row of old sewing machines for a denim company that makes $250 jeans. There's a Web design firm, a boat maker, a letter press shop and a furniture studio all in this building. "We're really interested in seeing what happens when Detroiters have control of the landscape versus speculators and outside forces that don't have Detroit and Detroiters' interests in mind," Cooley says. There's even a forge for metalsmithing. Gabriel Craig, 29, one of the founders of the metalsmith studio, explains they're creating museum-style mounts for animal skulls for the Detroit Mercantile Co.
Like many of the people working at Ponyride, he grew up in the Detroit area, and he sees being here as something that could help the city's rebirth. After all, he could have put his company out in the suburbs or somewhere else entirely. "I think that's why we live here," Craig says. "I feel like we can make a difference with what we're doing here, whereas if we lived in Portland or Brooklyn we'd just be another face in the crowd." Click HERE to read/listen to the full article! I am writing today to discuss what I believe may be one of the largest sporting scandals in Detroit history, and have hope that Dunkin Donuts and Comerica Park will do the right thing before it becomes a media circus. I have had a 28 game package for the Detroit Tigers for the past 2 years now and attend even more games than that per season (including playoffs). 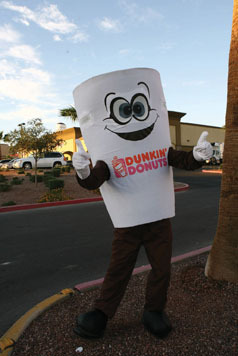 My section is 147, which places me strictly in the "Cuppy Coffee" section of the Dunkin Donuts Race. Throughout the past two years, I can count on one hand the amount of times Cuppy has come through and won this race. What was simply a fun event at the ballpark became a minor annoyance and now is turning into a white whale. Do I want the free donut or coffee that comes with winning the donut race? No, that is not what this is about at all. This is about competitive equity. It isn't that Cuppy Coffee doesn't win, Biggie Bagel also is constantly falling behind as well. Dashing Donut is miles ahead of its competition when it comes to consistently winning this race. Perhaps this is why the race is called the Dunkin "Donuts" race, because of the excessive number of wins by Dashing Donut. I firmly suspect that Dashing Donut is on performance enhancers. While yes, you could assert that Dashing Donut is fast because of a natural "sugar high," the same argument could be used for Cuppy Coffee's "caffeine buzz" and yet we do not see those kind of results. An investigation would be in order so that we can get the Donut into a rehabilitation program before he (she?) ruins their life. The well-being of all competitors should be looked after first. I trust that your respective corporations will do the right thing in this instance for the athletes. In the meantime, I will still shout for my Tiger's Phil Coke, Jeff Kunkel, and Miguel Cabrera while cheering loudly for Cuppy Coffee. Tonight! Public Meeting Addressing National Historic Designation For Belle Isle! 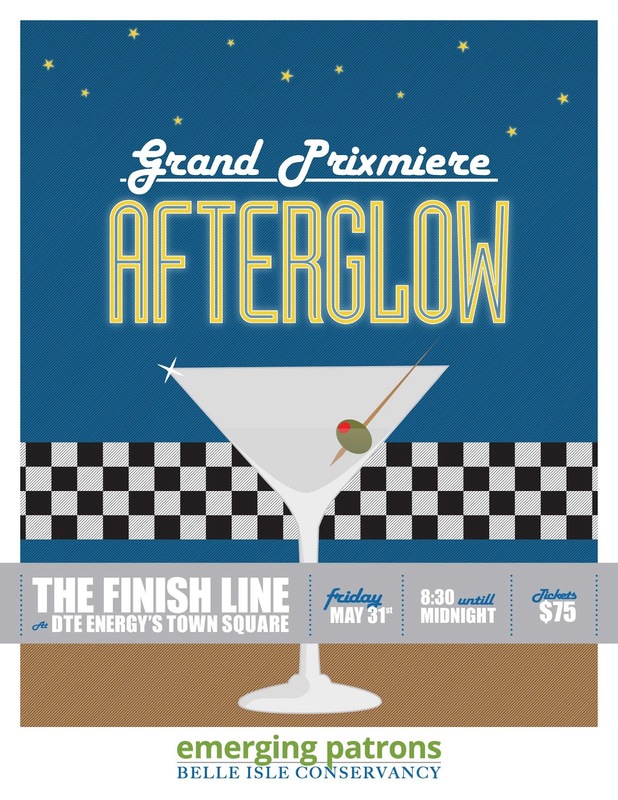 Join The Next Generation Of Belle Isle Patrons At The Grand Prixmiere After Glow! 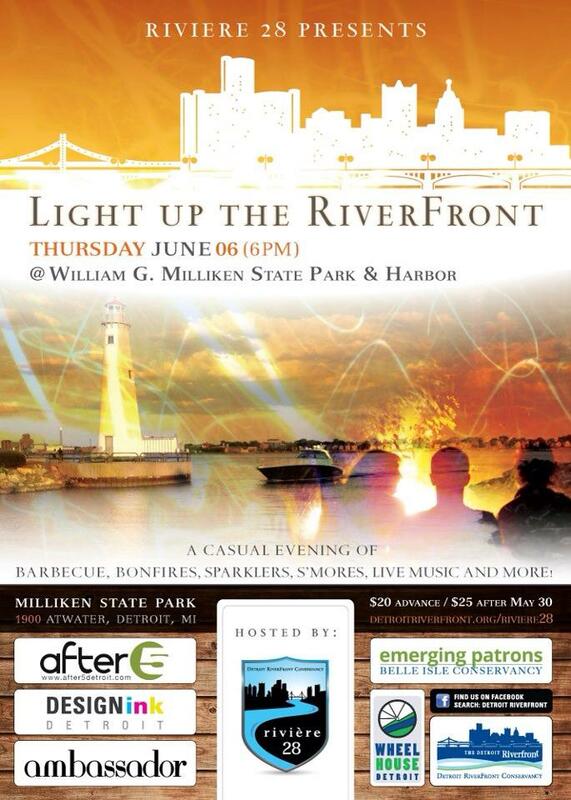 Join the next generation of Belle Isle patrons as we close the Grand Prixmiere in style! Guests will enjoy cocktails, light fare and musical entertainment. Mix, mingle and dance the night away with local celebrities, friends, and Grand Prixmiere guests. What Detroit Dog Ranks #11 On "America's Best Hot Dog" List??? Excerpt from USA Today's "America's Best Hot Dogs"
The hot dog is one of the few foods that's nearly impossible to screw up. You heat it through, tuck it into a bun, squirt on some mustard, and call it lunch. But there's a big difference between not screwing something up and turning it into a paradigm-shifting, transcendental dining experience. And there are lots of hot dog stands, restaurants, and drive-ins out there that have the power to change your life. The perennial grill mate to hamburgers, the hot dog sometimes gets the short end of the stick, charring at the back of the grill while juicy burgers are snatched up as soon as they hit the right temperature. But there's a science, if not an art form, behind constructing the perfect hot-dog-eating experience. That experience was introduced more than 100 years ago, when German immigrants first brought over their frankfurters and started selling them on the cheap at amusement centers like Coney Island, arguably the epicenter for American hot dog consumption. Charles Feltman is widely considered to be the first person to have applied hot dog to bun, in order to avoid needing to supply plates and silverware to customers at his sprawling Coney Island restaurant. Employee Nathan Handwerker opened his own hot dog stand a few blocks away in 1916 and sold them for less than Feltman, and became wildly popular (and remains so to this day). The hot dog diaspora then began to take on a life of its own, as people began developing their own spice mixes and making their own hot dogs, and every region and group of people soon put its unique stamp on the snack. Greek immigrants in Michigan concocted a cinnamon-rich beef chili that came to be known as Coney sauce, but it has nothing to do with Coney Island, while 'michigans' are big in Upstate New York but have nothing to do with the state. In Chicago they top all-beef dogs with mustard, fresh tomatoes, onions, sport peppers, bright green relish, dill pickles, and celery salt. Spicy Texas Red Hots are popular in New Jersey, but not in Texas, and the uncured, unsmoked White Hot is popular in upstate New York. And the regional variations go on and on. Sadly, there were some popular favorites that didn't make the cut. While Lafayette Coney Island in Detroit ranks high, its modernized neighbor, American Coney Island, didn't, because it lost much of its charm in the renovation. And while the pretzel dog at chain Auntie Anne's has its loyal devotees, the experience isn't exactly sublime. Our list runs the gamut from ancient stands that have been serving the same exact product day in and day out for decades to gastropubs putting their unique stamp on the hot dog to a place where people wait in line for more than an hour for one topped with foie gras. There's one constant thread between them, though: they're the country's best. 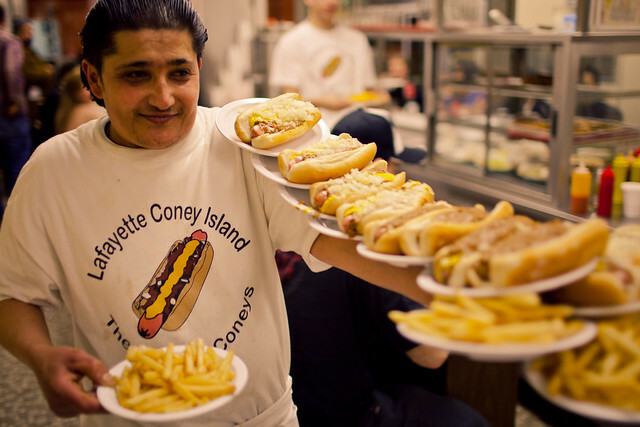 One of the culinary world's greatest rivalries is between two neighboring Downtown Detroit hot dog stands, Lafayette Coney Island and American Coney Island. While the battle over which hot dog tastes better is on par with the fight between Pat's and Geno's cheesesteaks in Philadelphia, most locals will tell you that it's Lafayette all the way, for several reasons. The hot dog has a juicy, salty, smoky snap, the Coney sauce is spot-on, and the fries are crispy, but it's the experience that puts it over the top in our book: While American is shiny and charmless, Lafayette is a divey, weathered, eccentric sort of place that hasn't been renovated in many years, but the charm is palpable, especially in the staff, who'll most likely bring you your order in less than 30 seconds. In short: the perfect hot dog stand.